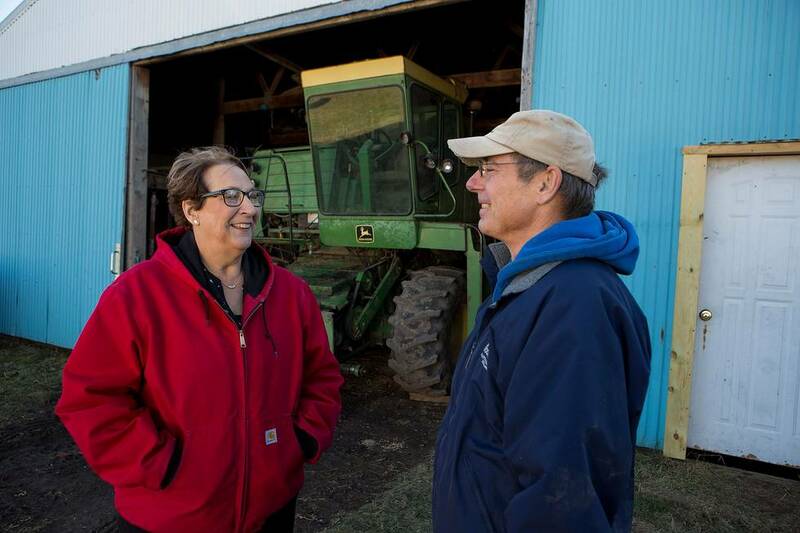 Patty Schachtner visits a farm in her district. We have a rare opportunity to pick up a WI Senate seat ahead of the 2018 elections. Patty Schachtner needs your help to win on January 16th. Jon Ossoff did 10 points better than the 2012 numbers when he ran for Congress this year in Georgia. If Patty does 10 points better than 2012, she will win. With Patty in the Senate, we will be one vote closer to passing a public health coverage option for Wisconsin. And, we will be one vote closer to a Democratic majority that can draw fair district lines in 2021 and ensure that Wisconsin is accurately represented in the decade to come. When I talked with Patty by phone, she wanted me to tell you that she will put people first as Senator. Patty has a long career of service. As the Medical Examiner for St. Croix County, Patty has been on the front lines of the opioid crisis, fighting for the health and wellbeing of the people of western Wisconsin. As a Somerset School Board member, Patty has been an advocate for strong public schools and well-funded classrooms. This result will come down to turnout. Please support Patty in this crucial last week. This will undoubtedly be a close race. Together, we can get Patty across the finish line and add a strong voice for the people to the Wisconsin Senate.